Many types of electrical devices use a soft magnetic material as the flux-carrier. Silicon-iron (Si-Fe), often referred to as “electrical steel” is the most commonly used material for motors, generators, transformers, and inductors. High permeability, low coercivity, and ductile properties make Arnold’s Grain Oriented (GOES) silicon steel and Non Grain Oriented (NGOES) silicon steel a perfect match for your high speed, high efficiency motors and transformers applications. Each type of Silicon Steel is available in a variety of thicknesses and widths. Both types have particular advantages over alternative materials for a range of applications. When optimally applied to a particular application, each type offers more efficient use of electrical steel, resulting in higher power density and energy savings. Find out more about what Arnold’s GOES and NGOES Silicon Steels can do for your application. We back up our Silicon Steels and other precision thin materials with extensive in-house lab and testing facilities that help our customers to get peak performance at a favorable cost. For service before and after the sale, the Arnold Precision Thin Metals team helps customers to verify the performance of materials and coatings under various ambient conditions and frequencies. Arnold’s advanced materials lab capabilities also allow us to test and assess mechanical characteristics to determine how the product is handled, stamped, and cut. 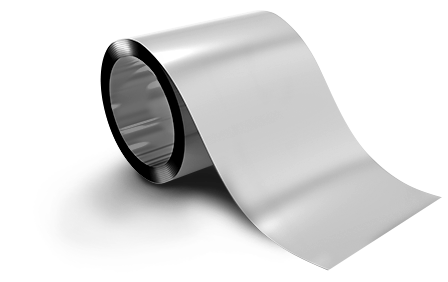 Our unequaled technical know-how and support helps our customers to get the best in manufacturing and field performance from thin-rolled Silicon Steels, silicon steel sheet and other rolled metal products. Arnold’s PTM business offers precision rolled Silicon Steels in a variety of thicknesses and orientations geared to standard applications. Silicon Steels from Arnold are available with or without standard C5 insulating coating and offer a choice of coatings chemistries for optimized performance. Contact the PTM team to discuss your needs. Want to learn more about Si-Fe? This means higher permeability and lower core loss in the rolling direction, the “cube-on-edge” direction. When the bulk of the grains in a lamination are aligned this way, the lamination can be cut to take advantage of the performance enhancement. During rolling into strip, the body-centered-cubic (BCC) Si-Fe crystals are stretched and flattened, optimizing the magnetic properties in the rolling (easy) direction, along the length of the strip. 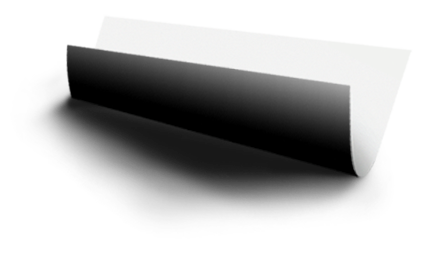 In this contrast-enhanced photo (Fig.2) we can see the elongated and flattened structure of Grain Oriented Electrical Steel (GOES). When a final heat treatment is performed, nearly isotropic magnetic properties are achieved within the plane of the strip due to the almost total elimination of the grain structure. Arnold’s treatment processes work to obtain the preferred orientation in the rolled silicon steel strip. The process involves a combination of cold working and heat treating to produce a strip where most of the metal grains are oriented along the rolling direction. 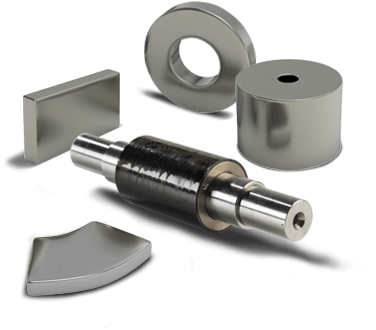 While the material is not uniform in all directions, many components such as wound cores and stamped/stacked E cores can be made to maximize the positive aspects of orientation. The directional crystal orientation of Arnold’s GOES Silicon Steel provides for anisotropic properties of permeability, flux density and core loss with optimal properties along the rolling direction. Oriented silicon-iron is best utilized in transformers or inductors where the relative angles of the magnetic field and the rolling direction of the alloy strip can be closely aligned. Arnold’s NGOES Silicon Steel, manufactured under the trade name Arnon™, is best suited to rotating machinery that provides a continuously changing angle of incidence of the applied field relative to the lamination steel rolling direction. Although some segmented designs are being investigated, the great majority of rotating machines use Non-Grain Oriented Electrical Steel (NGOES).